Under pressure from the state’s major utilities, the S.C. House killed a solar bill Tuesday that was intended to protect thousands of jobs and save customers money on their monthly power bills. The bill’s defeat, a stunning reversal from a House vote last week, brought withering criticism from many lawmakers, who said the House caved in to opposition by Duke Energy and SCE&G, derailing the legislation. Utilities have expressed concern about how competition from solar could affect them. State Rep. James Smith, the bill’s chief sponsor, also blamed Republican Gov. Henry McMaster. Smith, a Democratic candidate for governor and potential opponent to McMaster in November’s general election, said the Republican urged some lawmakers not to vote for the bill — a point McMaster’s office hotly disputed. The solar bill died Tuesday in the House after utility boosters raised a technical point, saying passing the bill would require a two-thirds majority vote. The House voted for the legislation, 61-44, but that was short of the two-thirds required for approval…. Wow. This is bad on so many levels — particularly if our governor got involved in order to screw over his likely Democratic challenger. But even if he didn’t, this is a stunning example of bad faith, and the kind of oligarchic, anti-democratic maneuver that almost makes the anti-elite paranoia of a Bernie Sanders sound sane. Ten-plus years? I think that’s an understatement. In my more than 30 years of covering SC politics, I haven’t seen the likes of this. You have to go back to before my time. There probably hasn’t been a case of the powers-that-be frustrating the public will to this extent since the Old Guard found a way to disqualify charismatic gubernatorial candidate Pug Ravenel on a technicality in 1974. The will of the people, acting through their elected representatives (which is how you do it in a republic), had been clearly expressed. The best people in the General Assembly were all for it — Democrats, and both flavors of Republican (Regular and Tom Davis). And now, the people who gave us the shaft on the nuclear fiasco have shown us what they think of that. And of us. So… what are we going to do about it? 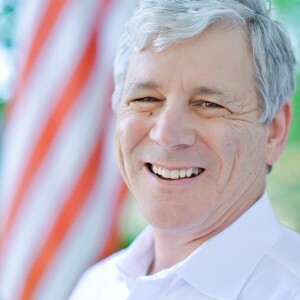 This entry was posted in 2018 Governor, Democrats, Energy, Energy Party, Environment, James Smith, Legislature, Republicans, South Carolina on April 10, 2018 by Brad Warthen. I was deliberately avoiding actual news the end of last week while at the beach, but now I want to congratulate James Smith and his allies of both parties on their big victory in the House last week. Their bill to lift the cap on solar power passed the House 64-33 Thursday, after representatives rejected a competing bill pushed by the big utilities — which obviously don’t have the clout they had when they passed the Base Load Review Act. 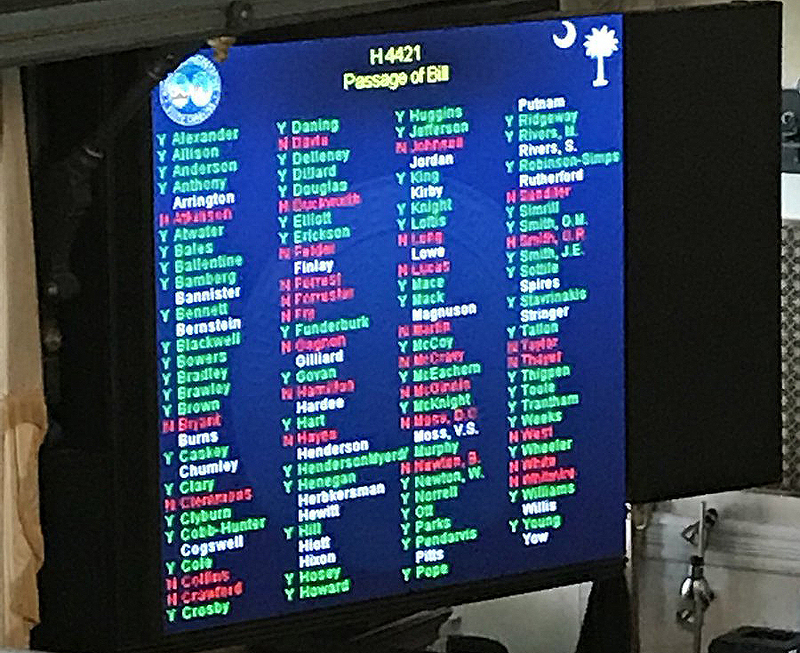 Out of those 64, Matt Moore of the Palmetto Conservative Solar Coalition particularly thanked @garyclarysc @murrellsmith @petermccoyforsc @ChrisMurphySC98 @NancyMace @NathanBallentin @garyclarysc @ChipHugginsSC and my own rep, @MicahCaskey. See how everybody voted on the board above. Now, on to the Senate! This entry was posted in Democrats, Energy, Energy Party, Environment, James Smith, Leadership, Legislature, Republicans, South Carolina on April 9, 2018 by Brad Warthen. Matt Moore of the Palmetto Conservative Solar Coalition, Sen. Tom Davis and Rep. James Smith in front of the rally crowd. And there’s the rub. The big utilities, and their dozens of lobbyists and those who do their bidding. Who are those who do their bidding? 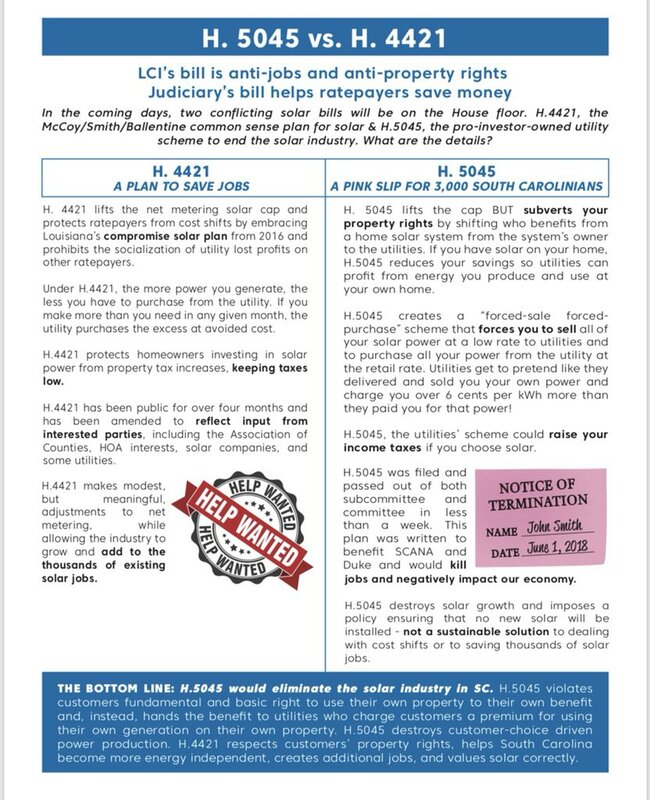 We’ll be able to see that clearly, since right now there are two competing bills — H. 4421, which would lift the cap that the big utilities placed on net metering, and H. 5541, the bill that aims to essentially kill solar power in South Carolina. 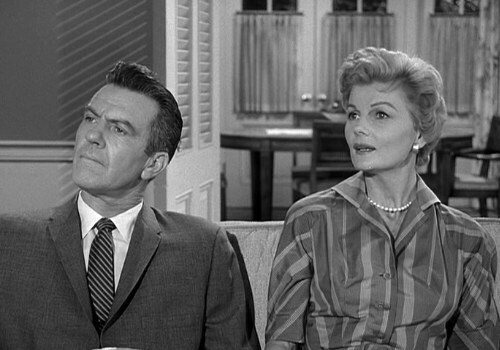 There is seldom a choice that’s as black-and-white as this one. Joining Smith, Ballentine and Davis — representing the three main “parties” in the Legislature (Democratic, Republican, and those other Republicans) — were Reps. Mandy Powers Norrell and Gary Clary, and Lt. Gov. Kevin Bryant. My own representative, Micah Caskey, showed up as the rally ended, apologizing for being late. The crowd standing on the steps behind the pols were mainly folks employed in the solar installation industry. Which makes sense, since their phony-baloney jobs are on the line, gentlemen! This was one of those reverse rallies where the demonstrators were all up on the steps behind the speakers, and the audience consisted of media and a few lobbyists. This entry was posted in Democrats, Energy, Energy Party, James Smith, REform, Regulation, Republicans, South Carolina on April 3, 2018 by Brad Warthen. As long as I’m throwing tweets at you, let’s contrast Henry McMaster’s fatuous nonsense with what’s going on among people at the State House who actually care about issues that matter to South Carolina. Oh, there goes that Brad Warthen promoting James Smith again! Well, not just him. We’re talking about a bipartisan coalition of actual leaders who are standing up to the pro-utility interests that brought you the Base Load Review Act. This is what’s going on in the State House in this universe, as opposed to the one Henry lives in. In this universe, there’s a battle going on between people who continue to push the narrow interests of the utility industry and those who’d like us to be able to declare independence from them. One bill was practically written by the utility monopolies. Not surprisingly, this bill would reward them for their role in the disastrous V.C. Summer debacle. Also, not surprisingly, this bill was introduced and rushed through subcommittee almost overnight by House members who’ve received thousands of dollars in campaign contributions from utility monopolies. The other bill would promote the growth of solar energy in South Carolina. This bill rewards consumers by treating them fairly and ensuring that our state’s solar energy market will continue to produce good-paying jobs and affordable energy for our families. Not surprisingly, this bill has been challenged at every step…. This entry was posted in Democrats, Energy, Energy Party, Environment, Infrastructure, Leadership, Legislature, Marketplace of ideas, Republicans, South Carolina on March 21, 2018 by Brad Warthen. The solar panel (get it? ): Rep. Nathan Ballentine, Charles Hernick of CRES, Bret Sowers of the SC Solar Business Alliance, Tyson Grinstead of Sunrun, Inc., and moderator Matt Moore. There’s something odd about that headline, isn’t there? One shouldn’t have to make such a case, seeing as how “conservative” and “conservation” derive from the same root. But our modern politics are sufficiently strange that the case must be made — and increasingly, more conservatives are prepared to make it. They did so this morning over at the convention center Hilton, at a breakfast co-sponsored by the Palmetto Conservative Solar Coalition and Citizens for Responsible Energy Solutions out of Washington. 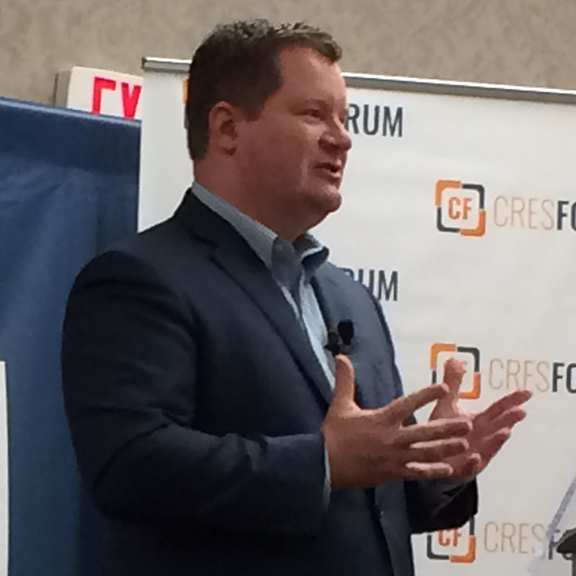 The program started with a brief keynote by Erick Erickson of The Resurgent (and formerly of RedState), who came to say, “We conservatives don’t have to be afraid of clean energy.” Mind you, “We don’t need to subsidize it” the way he says folks on the left want to do — it’s more about getting out of the way and letting markets do the job. The main thing standing in the way of that is the owners of the current infrastructure. Erickson, who lives in Macon, says he keeps hearing from Georgia Power, telling him that solar might burn his house down, and anyway, it’s not efficient — it doesn’t work on a cloudy day. “Why are you so scared of it, then?,” he asks. After Erickson sat down, Matt Moore — new head of the Palmetto Conservative Solar Coalition and former chairman of the S.C. GOP — gave out awards to some conservative friend of clean energy, including my own Rep. Micah Caskey. Others recognized were Rep. Nathan Ballentine, and Sen. Greg Gregory. 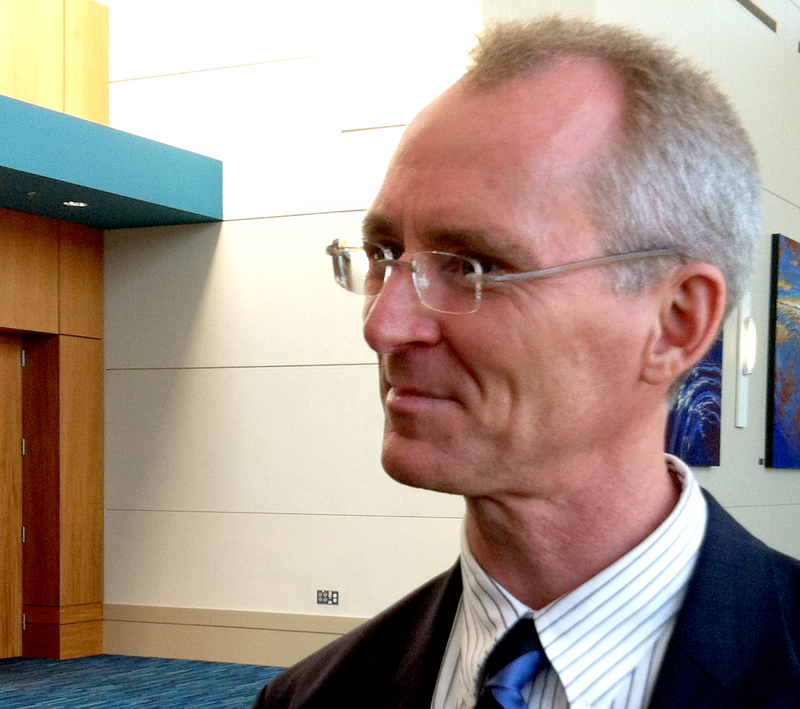 Gregory got credit for passage of Act 236 in 2014 — the legislation that allowed net metering in South Carolina. Which was a start toward putting solar on a firm footing in the state. But the main order of 2018 for these organizations is repealing a problematic provision of that legislation — a 2 percent cap on the amount of energy allowed to be generated by solar, something the utilities insisted on in 2014. 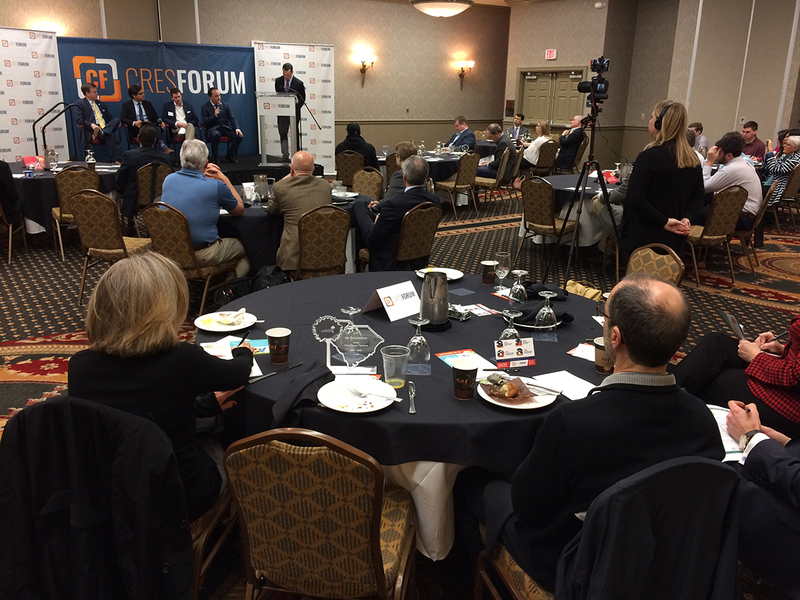 So we heard a lot, during a panel discussion featuring Ballentine and three others and chaired by Moore, about H. 4421, which would remove that cap and let solar compete freely — an idea suddenly quite popular, with SCANA and Santee Cooper in the political doghouse. We’re getting close to that 2 percent cap, which Ballentine said would cause the disappearance of 3,000 jobs in South Carolina in the installation business (also represented on the panel). That’s one of the reasons he’s for lifting the cap. He praised H. 4421, saying how good it is to see a “bipartisan effort” behind it. And it does have bipartisan support. What Nathan did not say, with so many Republicans in the room, is that the bill’s prime sponsor is Rep. James Smith. He was concerned, apparently, that some in his party might oppose it just to keep James from having a big win when he’s running for governor. Which would be really petty of them, but that’s the state of party politics in the Year of Our Lord two thousand and eighteen. For some people, anyway. Frankly, I’m having trouble imagining any good reason why anyone would oppose such commonsense legislation. Maybe you can think of one, but I can’t. This entry was posted in Business, Energy, Energy Party, Environment, Infrastructure, Marketplace of ideas, Republicans, South Carolina on February 28, 2018 by Brad Warthen. Harry Reid’s leaving. So can we open Yucca Mountain now? That was my first thought when I heard that at long last, Harry Reid will be leaving the Senate. Finally, the place the nation decided long ago would be our permanent repository for nuclear waste MAY open, with its chief obstacle retiring. It’s long past time that Yucca Mountain provide South Carolina (and other states) some relief on this. That was the plan, and it was always a good one. So now it can happen. Hey, I can hope, can’t I? But beyond that, can you think of anything about Reid’s tenure as majority/minority leader that was good? Neither can I. His name just conjures up a lot of unpleasantness for me. He’s not alone in that; I have similar impressions of names such as Boehner, Pelosi and McConnell. Together they’ve presided over a particularly ugly and unproductive period in congressional history. Dare I hope he’ll be replaced by someone who will turn that around? This entry was posted in Democrats, Energy, Energy Party, Environment, South Carolina, The Nation on March 27, 2015 by Brad Warthen. For 32 years I’ve been advocating a major tax on petroleum. I’ve got as much chance this time around as did Don Quixote with windmills. But I shall tilt my lance once more. The only time you can even think of proposing a gas tax increase is when oil prices are at rock bottom. When I last suggested the idea six years ago, oil was selling at $40 a barrel. It eventually rose back to $110. It’s nowaround $48. Correspondingly, the price at the pump has fallen in the last three months by more than a dollar to about $2.20 per gallon. As a result, some in Congress are talking about a 10- or 20-cent hike in the federal tax to use for infrastructure spending. Right idea, wrong policy. The hike should not be 10 cents but $1. And the proceeds should not be spent by, or even entrusted to, the government. They should be immediately and entirely returned to the consumer by means of a cut in the Social Security tax…. A $1 gas tax increase would constrain oil consumption in two ways. In the short run, by curbing driving. In the long run, by altering car-buying habits. A return to gas-guzzling land yachts occurs every time gasoline prices plunge. A high gas tax encourages demand for more fuel-efficient vehicles. Constrained U.S. consumption — combined with already huge increases in U.S. production — would continue to apply enormous downward pressure on oil prices…. Quixotic, yes. But I stand up and cheer whenever anyone has the courage to speak sense on the gas tax. I don’t know whether his FICA rollback is the best thing to do with the money. I’d like to see some serious investment in infrastructure. But it doesn’t matter. Raising the gas tax and using the money unwisely is actually better than not raising it at all, for the reasons Krauthammer cites. By the way, in praising Krauthammer for being so Energy Party, I don’t mean to claim he got the idea from me. As he says, he’s been pushing this uncommon sense idea for 32 years. The Energy Party has only been around for a fourth as long. This entry was posted in Energy Party, Environment, Marketplace of ideas, Taxes, The Nation, The World on January 12, 2015 by Brad Warthen. Well, we know that Nikki Haley wants to fix SC roads, but doesn’t want to say how she’d pay for it — at least, not until after the election. South Carolina is too dependent on the “gas tax” and needs to diversify how it pays for roads and bridges. In addition to the $1 billion Vincent helped secure for road reconstruction in 2013, he believes we should continue using South Carolina’s bonding authority to make long-term infrastructure investments, dedicate more General Fund revenue from surpluses to roads, and look at new revenue sources to help make our roads safe again. All options must be on the table for discussion. What I’d like to see from Sheheen an elaboration on what he means when he says SC is “too dependent on the ‘gas tax’,” and therefore must go on some grail-like quest for mysterious “new revenue sources.” I suspect what he means is that SC is simply unwilling, politically, to raise our extremely low gas tax. He certainly can’t mean that he thinks it’s too high. Governor Haley’s “secret plan” to fund improvements for our roads and bridges is nothing more than a “secret tax increase” and another blatant example of her lack of transparency and accountability. Call Governor Haley now at (803) 734-2100 and demand that she disclose the details of her secret funding plan. When Nikki Haley hides the ball on funding, that’s her political speak for taxpayer’s having to foot the bill. Haley’s secret plan shouldn’t surprise anyone. It’s Haley’s lack of leadership that has forced a county-by-county sales tax increase to make up for her failed leadership. This has resulted in a back door sales tax increase on top of her “secret plan” to raise taxes next year. And I’m shocked about Governor Haley’s stated approach. We are a legislative state. For Haley to say she will “show the General Assembly how to do it” confirms just how irresponsible Haley’s approach is to our serious infrastructure needs. If South Carolinians want to maintain or roads and bridges and invest in our infrastructure, it’s going to require a change in leadership. When I am governor, I will work with our elected representatives to build a consensus for long term funding for our crumbling roads and bridges. And I’ll be honest with you up front that all suggested solutions are on the table for debate. The legislative process is a deliberative process. We already have a dictator in Washington, D.C. We don’t need another one in Columbia. Tell, me — in what way is the governor’s promise to come out with something after the election different, practically speaking, from “When I am governor, I will work with our elected representatives to build a consensus for long term funding?” Yeah, I get that he’s saying he’d respect lawmakers more than the incumbent does. But beyond that, he’s doing the same thing she is — declining to say what he would propose until after the election. So, having surveyed the field, one thing I must say in Todd Rutherford’s behalf is that at least he’s proposing something, even though it’s a really bad idea. This entry was posted in 2014 Governor, Democrats, Energy, Energy Party, Leadership, Legislature, Money, Nikki Haley, Priorities, Republicans, South Carolina, Spending, Taxes, Transportation, Vincent Sheheen on July 3, 2014 by Brad Warthen. Yesterday, the Senate Judiciary Committee cleared the path for the state legislature to give us the sun with solar energy legislation. The vote was 19-1 in favor, which is unheard of for a piece of legislation like this and a testament to the hard work of our negotiators and a resolve by all the stakeholders to find consensus. As for the sole vote against, we can only assume that the legislator had his judgment temporarily blocked by the bright glare of the sun. Because the legislation is currently under attack by solar industry groups from out of state, we want to be clear: we wholeheartedly support this bill. We hope this is the beginning of a new era in energy independence for South Carolinians. Thank you for being a supporter of solar in South Carolina. We still need your help to push this legislation through the Senate and House and to Governor Haley’s desk. The Senate takes its first vote on S.536 this week. Learn more about this issue and contact your elected officials to encourage them to vote YES. To contact your legislator click HERE and just type in your address. Once S.536 gets through the Senate it moves to the House, so let’s keep up the “heat” to assure that South Carolina’s brightest days are ahead. This entry was posted in Energy, Energy Party, Environment, Legislature, South Carolina on April 2, 2014 by Brad Warthen. Well, she knows what I like to read, which shouldn’t be surprising, since I first became her editor in 1987. First, let me describe what moderation is not. It is not just finding the midpoint between two opposing poles and opportunistically planting yourself there. Only people who know nothing about moderation think it means that. Moderates start with a political vision, but they get it from history books, not philosophy books. That is, a moderate isn’t ultimately committed to an abstract idea. Instead, she has a deep reverence for the way people live in her country and the animating principle behind that way of life. In America, moderates revere the fact that we are a nation of immigrants dedicated to the American dream — committed to the idea that each person should be able to work hard and rise. This animating principle doesn’t mean that all Americans think alike. It means that we have a tradition of conflict. Over the centuries, we have engaged in a series of long arguments around how to promote the American dream — arguments that pit equality against achievement, centralization against decentralization, order and community against liberty and individualism. The moderate doesn’t try to solve those arguments. There are no ultimate solutions…. The moderate creates her policy agenda by looking to her specific circumstances and seeing which things are being driven out of proportion at the current moment. This idea — that you base your agenda on your specific situation — may seem obvious, but immoderate people often know what their solutions are before they define the problems. The moderate does not believe that there are policies that are permanently right. Situations matter most. Tax cuts might be right one decade but wrong the next. Tighter regulations might be right one decade, but if sclerosis sets in then deregulation might be in order…. Very, very good stuff. I can see why Cindi would like it, and not only because Brooks uses the trick of an inclusive “she” rather than the traditional inclusive “he” to indicate a hypothetical person whose gender doesn’t matter, which is something Cindi does. More to the point, it should be easy to see why I would like this column as much as the one I praised earlier this week. Both of them speak for me, and the way I see the world. (Which is an argument for why Brooks should have used “he” instead of “she.” Hey, there are bits where he should have just gone ahead and written “Brad.”) There are particularly sharp insights in both columns, expressed in ways that had not yet occurred for me. Some of the highest praise I’ve gotten from readers over the years is when they say, “You write what I think, but don’t know how to say.” Brooks did a better job of explaining some things that I believe than I have been able to do. I particularly appreciate this statement: “The moderate does not believe that there are policies that are permanently right.” That’s pretty much what I’ve been trying to say in everything I’ve written about the UnParty and the Energy Party and the Grownup Party. (Brooks later says that moderates are misunderstood because they don’t write manifestos. Well, I’ve at least tried to do so….) This is such an important point because there are so many deluded souls out there who fervently believe that there are policies that ARE right in every instance. Promising, for instance, always to vote against tax increases (or, as Brooks said, for higher taxes for the wealthy) is as arbitrary as promising to vote “yes” on all bills that come up on Tuesdays and Thursdays. I don’t know that I like that column from October better than the Snowden one. But they are both really, really good, and I wish everyone would read them. They say things that are profoundly true, but counterintuitive for too many Americans. These things need to be said as often as possible, and by someone who says them as well as Brooks does. This entry was posted in Energy Party, Grownup Party, Marketplace of ideas, Media, Political science, Social media on June 13, 2013 by Brad Warthen. Vice President Thomas R. Marshall famously said, “What this country needs is a really good five-cent cigar.” Which is debatable. Friedman suggests that a real conservative presence in our politics could help us deal meaningfully with the four great issues of the day, which he deems to be “the nexus of debt, taxes and entitlements…[;] how to generate growth and upgrade the skills of every American in an age when the merger of globalization and the information technology revolution means every good job requires more education; how to meet our energy and climate challenges; and how to create an immigration policy that will treat those who are here illegally humanely, while opening America to the world’s most talented immigrants, whom we need to remain the world’s most innovative economy. Imagine if the G.O.P. 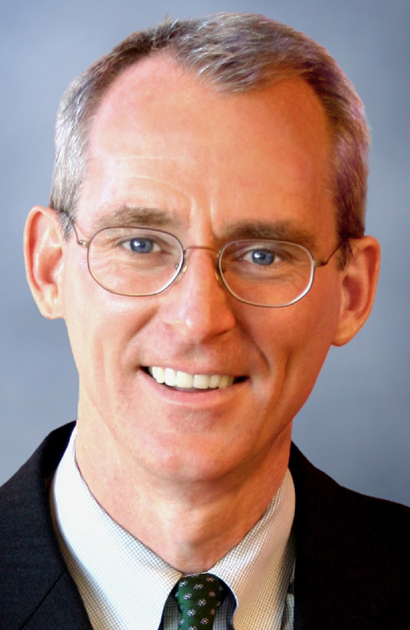 position on energy and climate was set by Bob Inglis, a former South Carolina Republican congressman (who was defeated by the Tea Party in 2010). He now runs George Mason University’s Energy and Enterprise Initiative, which is based on the notion that climate change is real, and that the best way to deal with it and our broader energy challenge is with conservative “market-based solutions” that say to the fossil fuel and wind, solar and nuclear industries: “Be accountable for all of your costs,” including the carbon and pollution you put in the air, and then we’ll “let the markets work” and see who wins. I told Bob last time I saw him that a new party, a way of running effectively for office outside of the present ideological madness, is exactly what this country needs, so that we can elect more people like him. He listened politely enough, but I fear he’s had his fill of electoral politics for awhile. Anyway, Friedman definitely is onto something here. This entry was posted in Education, Energy Party, Grownup Party, Immigration, Marketplace of ideas, Media, Parties, UnParty on August 23, 2012 by Brad Warthen. 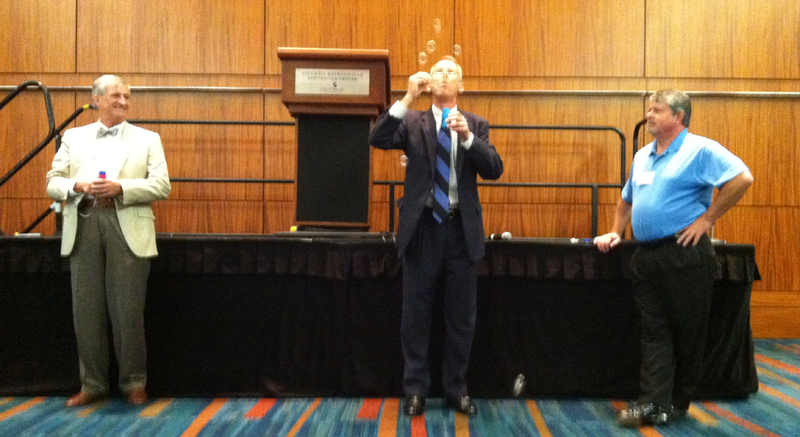 Inglis blowing bubbles during his speech. Yes, he was making a point, but it would take too many words to explain it here. You had to be there. There is important work to be done in order to realize the full potential of South Carolina’s advanced-energy sector. We need less government and more free enterprise. Some clean-energy technologies are more cost-effective than fossil fuels, and others are not there yet. But even the most cost-effective clean fuels still routinely lose out to more expensive fossil fuels. Why? Because the energy market is not a free market. 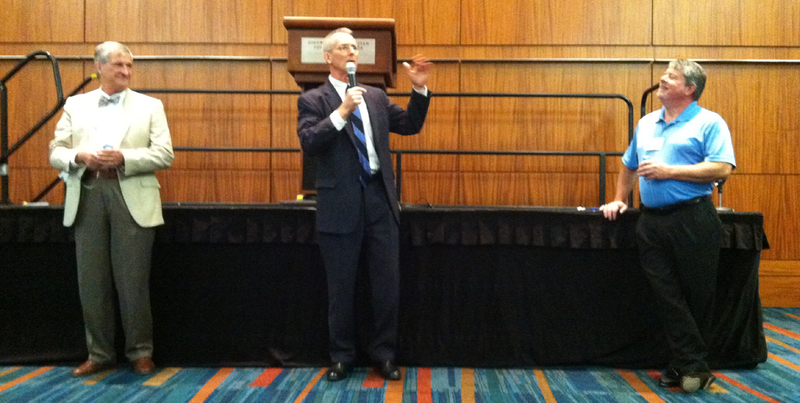 The day that appeared, he was speaking to the South Carolina Clean Energy Summit at the convention center. I attended the event, which was sponsored, understandably enough, by the South Carolina Clean Energy Business Alliance. This entry was posted in Energy Party, Environment, Marketplace of ideas, Midlands, Republicans, South Carolina, The Nation, The State, The World on July 23, 2012 by Brad Warthen. Speaking to Rotary. That's Club President J.T. Gandolfo in the foreground. It’s the new Moore School of Business, of which Dr. Teegen is the dean. It’s intended, among other things, as the gateway to the Innovista, and should go a long way toward helping people understand that Innovista is NOT those two buildings everybody keeps obsessing over, but will constitute a transformation for that whole underdeveloped urban expanse from this location down to the river. Innovista is conceived around the “live, work, play” concept, and the new Moore school has been designed to complement that. The key word Hildy keeps using to describe it is “permeable.” That goes from the literal sense of the rooftop garden, to the fact that it will be open to the whole community 24/7. In fact, she pointed out, it is architecturally impossible to close off the building. One of the goals is for the building to achieve “net-zero” status, meaning its energy and carbon impact on the surrounding community will be nonexistent. The building, which is to be completed in December 2013, will house the nation’s No. 1 international business master’s program and all of the school’s other business education programs — such as the night school that has just entered the top 25 in the U.S — except, of course the multiple distance-learning opportunities the school offers across SC and in Charlotte. This entry was posted in Business, Driveby, EcoDevo, Energy Party, Environment, Higher education, Midlands, South Carolina, Speechifying on July 23, 2012 by Brad Warthen. SC politician uses ‘communitarian’ in a sentence! And here you can see, of course, why the Tea Party essentially rode the congressman out of office on a rail in 2010: He thinks too much. Related to that is the main reason this was brought to my attention: This may mark the first time in the history of our state that a present or former South Carolina officeholder actually used the word “communitarian.” And even used it in a way that indicated he identified the concept with himself! This entry was posted in Community, Elections, Energy Party, Environment, Marketplace of ideas, Republicans, Science, South Carolina on July 12, 2012 by Brad Warthen. Is the purpose to help the planet, or to save gas? Either way, a hybrid something else would get the job done better. I mean, why buy a Tahoe, and then spend extra to make it a hybrid (I’m assuming, perhaps erroneously, that the hybrids cost more). Or is it just to send a message to the world: I care about the planet, I really do! I just can’t help myself — I gotta drive a dreadnought through the city streets! Or is it something else? Such as sheer irony? This entry was posted in Character, Driveby, Energy Party, Environment, Personal, Social media on April 25, 2012 by Brad Warthen. WASHINGTON – U.S. Senator Lindsey Graham (R-South Carolina), one of the strongest supporters of nuclear energy in the Senate, has introduced legislation, The Nuclear Waste Fund Relief and Rebate Act. Electric utilities have been paying into the Nuclear Waste Trust Fund to construct and operate a permanent federal nuclear waste repository at Yucca Mountain, Nevada. The utilities have been charging their costumers a monthly fee in each electricity bill to make these payments. 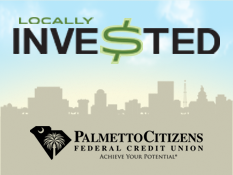 According to the latest information, South Carolina residents alone have already contributed more than $1.3 billion to the fund, which has collected a total of more than $35 billion in fees. The legislation introduced by Graham would rebate these monies back to electric utilities and consumers. Seventy-five percent of the amount rebated to utilities would be returned to their customers and the remaining portion will be used to make upgrades to on-site storage facilities. Additionally, the legislation authorizes payments to states currently housing defense nuclear waste scheduled to be transferred to Yucca Mountain. These payments begin in 2017, the date in which Yucca Mountain was to set to receive shipments of defense nuclear waste. 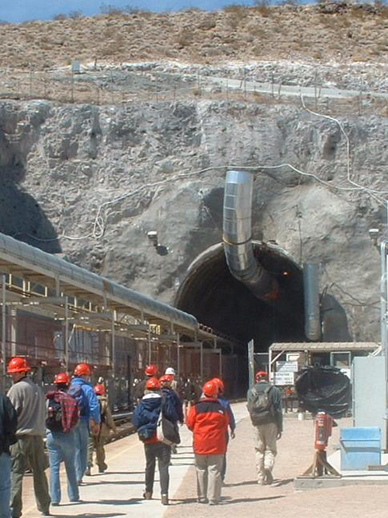 · Presidential Certification: The Department of Energy has spent billions of dollars and decades studying the suitability of Yucca Mountain as the nation’s repository for spent nuclear fuel and defense waste. Consistently, the science has borne out that Yucca Mountain is the best site to dispose of nuclear waste. Within 30 days of passage, the President must certify that Yucca Mountain remains the preferred choice to serve as the federal repository for spent nuclear fuel and defense-related nuclear waste. · Failure to Certify Leads to Rebates: If the President fails to make the above certification, or revokes the certification at a later date, all funds currently in the Nuclear Waste Trust Fund shall be rebated back to the utilities. Seventy-five percent of the amount rebated to utilities would be returned to their customers and the remaining money will be used to make security and storage upgrades at existing nuclear power plants. · Defense Waste: Currently, there is at least 12,800 metric tons of defense-related waste at nuclear weapons complex facilities around the country. Unlike commercial spent fuel, this waste has no potential future defense or civilian uses. In many states, the accumulated waste poses the largest potential public health threat. In order to help mitigate the risk associated with the indefinite storage of defense waste, the legislation authorizes payments of up to $100 million per year if defense waste has not begun to have left the states by 2017. · Waste Confidence: In order to continue to renew or issue licenses for civilian nuclear power plants, the Nuclear Regulatory Commission (NRC) must have reasonable confidence that the waste will be disposed of safely. The legislation includes waste confidence language that allows for the Nuclear Regulatory Commission to continue to license nuclear reactors in the event the Presidential certification is not made. Co-sponsors of the legislation include Senators Jim DeMint (R-South Carolina), John McCain (R-Arizona), Saxby Chambliss (R-Georgia), and Ron Johnson (R-Wisconsin). I don’t know what y’all think, but personally, I don’t want a rebate. I just want want the president to shove Harry Reid aside and put the national repository where it belongs, at Yucca Mountain. I sort of think that’s what Sen. Graham really wants, too. This entry was posted in Barack Obama, Energy Party, Environment, Lindsey Graham, The Nation on March 12, 2012 by Brad Warthen. Wow. Can you get more simplistic than this? Gas prices are too high, and we need President Obama to listen. With an 8% gas price spike last month and prices expected to rise further this summer, it’s time to solve our energy problems, provide real energy solutions for the American people, and get our economy focused on creating jobs. The president’s energy policy isn’t helping and begs the question: is the president even listening? We need the entire Keystone XL pipeline built, we need to drill domestically, and we need to stop depending on foreign oil. If we can lower gas prices, we also can grow our economy and create jobs for the American people. Welcome to my new Rally page – where you can rally behind my pro-jobs, pro-growth campaign. Leave comments, donate, and support the campaign. Let’s get this economy back on track. What precisely does that mean — “President Obama: Will you listen?” What are we to suppose the president hasn’t heard? That there’s an uptick in gas prices? Hasn’t the predicted advent of $4-a-gallon gas been done to death over the last couple of weeks — even before it arrives? And what, pray tell, is it that we’re to assume the president should do about the global market forces and geopolitics that are causing this momentary uptick? And do you really believe that lower gas prices are in the long-term interests of the United States? I was momentarily encouraged two weeks ago when I saw this headline on a release from Joe Wilson: “Wilson Supports All-Of-The-Above Energy Bill.” I thought maybe Joe was moving toward an Energy Party stance. But then I saw it was just more pandering about the gasoline prices that he and others are always so eager to exploit. Yep, people don’t like paying more for gas; it’s true. I don’t. Present gas prices are hard for me to pay already. But I also know that Joe’s right when he says we need to “stop depending on foreign oil,” and that keeping prices low is the OPPOSITE of a policy that would encourage that. Further development of domestic sources of fossil fuels. A crash research and development program to get us OFF fossil fuels as soon as possible. A gasoline tax increase that not only pays for research, but discourages overuse of the resource. Expedited construction of nuclear power plants. There was a bill, awhile back, that moved in the right direction. Unfortunately, Lindsey Graham withdrew his support for it when Republicans of Joe Wilson’s ilk persecuted him for the “sin” of working with a Democrat. A rational policy aimed at energy independence would include elements that Republicans hate, and others that Democrats hate — and would require some general sacrifice. Don’t hold your breath waiting for Joe Wilson to push for anything like that. He’d rather pander to us. This entry was posted in Economics, Elections, Energy Party, Republicans, South Carolina, The Nation on March 2, 2012 by Brad Warthen. You know the Democratic position on the Obama Administration’s rejection of a permit for the Keystone XL pipeline. And you know the Republican position. Wants this project to happen. Not for the jobs everybody is talking about, although the jobs are great. Encouraging the development of domestic, or at least friendly, sources of energy is key to the nation’s strategic security, and therefore of the highest priority to the Energy Party. Is deeply disappointed that the permit has been rejected at this time. Were this decision to stand, it would be bad for the nation. Fortunately, there appears to be time to reconsider, as there are other obstacles to the project that will take time to work out. Is much encouraged that the permit was not rejected on the merits. The fact that the president cited a technicality — Congress not giving enough time to properly consider the permit — is highly encouraging. Maybe he can turn this around and get it right. See how matter-of-fact things can be when you’re not blinded by the ideology of either the left or the right, and you don’t care whether Democrats or Republicans have the upper hand? This entry was posted in Business, Democrats, EcoDevo, Energy Party, Environment, Parties, Republicans, The Nation, UnParty on January 19, 2012 by Brad Warthen. This entry was posted in Blogosphere, Energy Party, Feedback, Grownup Party, Marketplace of ideas, Moderation, Parties, UnParty on January 3, 2012 by Brad Warthen.